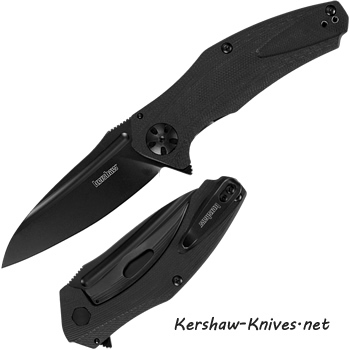 Kershaw Natrix Black 7007BLK. All in black from head to toe and front to back. The Natrix Black is stunning, sleek and smooth. Nice ridges on the handle but so subtle that you almost do not know they are there. Locks into place with the frame lock system. A small black pocket clip can be changed from left to right carry, tip up only and allows a deep carry in your pocket. Nice finger curve so that your fingers are protected during use and jimping on top portion of blade.